Proper nutrition is essential for wellness and maintaining a healthy body weight—both shown to have an important impact on the overall readiness of Military Service Members and the “strength of our Force.” Your diet is comprised of all the food and beverage choices you make throughout your day. These choices provide your body with energy and nutrients for function and performance. As a registered dietitian, I know that consistently making healthy food choices—that maximize nutrient intake without overconsuming calories—ensures optimal daily performance. Encouraging Military Service Members to eat a healthy diet can help them sustain readiness throughout their careers and good health throughout their lives. 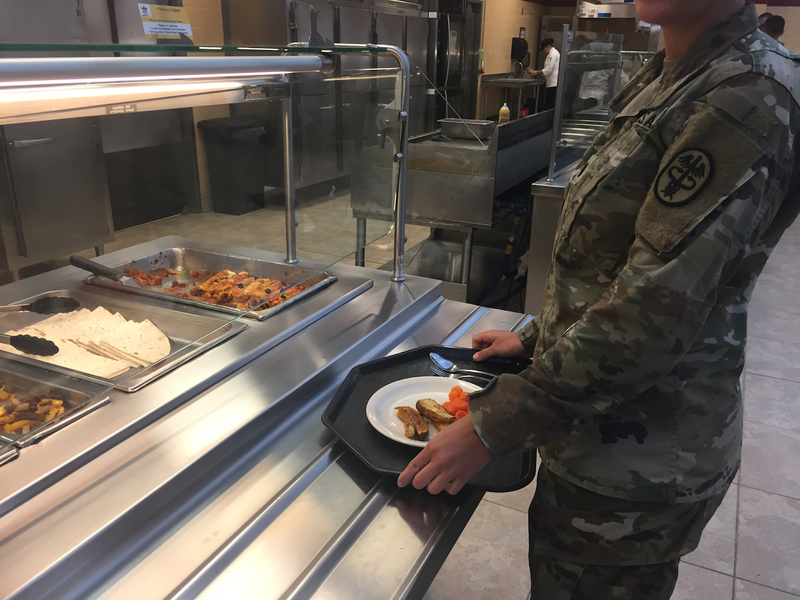 Many Soldiers eat their meals and get much of their daily nutrition at military dining facilities (DFACs) too, so this is where the military can truly have a positive impact on Warfighter nutrition and readiness. Go for Green® (G4G) 2.0 is a stoplight-labeling nutrition program that can greatly enhance eating environments in DFACs by promoting performance nutrition and making the healthy choice the easy choice. 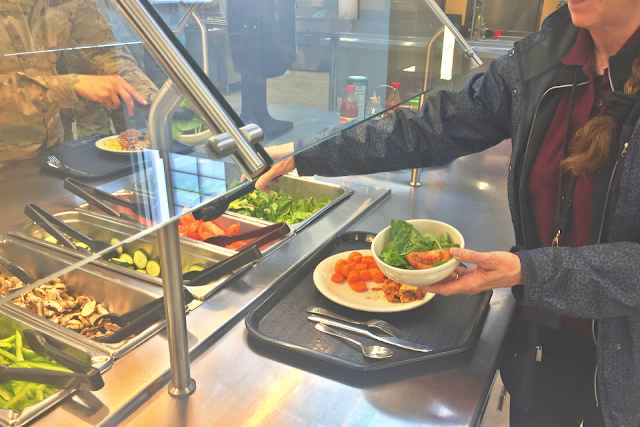 Implementation is more than just labeling foods: It includes offering more “Green” items, prominently placing healthier options in serving areas, training DFAC staff, and using marketing materials to promote the program and educate diners. 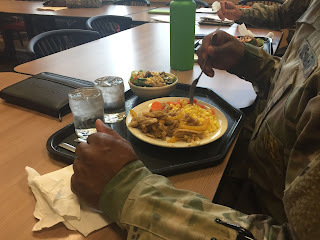 I’ve personally worked with several DFACs to implement portions of G4G 2.0 and conducted research on the impact of changing DFAC menus on diners’ nutrient intakes. I’ve also seen improvements in Military Service Members’ food choices and reduced barriers to healthy eating. 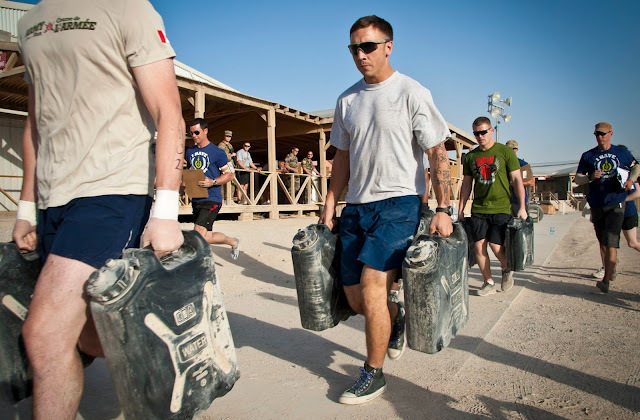 As a Soldier and leader, I have to be at my best—physically and mentally—every day. My body is a high-performance vehicle, and I’m providing it with quality fuel. I know my nutrition choices impact how I feel and perform. And everywhere I go, I seek out and choose healthy options. G4G helps me do this very easily because “Green” items are clearly labeled and easy to find in military dining facilities. It essentially takes the guessing game out of high-performance eating. G4G 2.0 contributes to the strength of our Force because readiness is the Army’s #1 priority, requiring Soldiers to optimize their performance every day. It’s also important to educate Soldiers about the best fuel for their bodies and make sure these options become the default ones at DFACs worldwide. LTC Deschamps is Chief of Education Training and Research in the Nutrition Care Division at Madigan Army Medical Center. The views expressed are those of the author and do not reflect the official position of the Uniformed Services University of the Health Sciences or the United States Department of Defense.